Experience the breathtaking views of the Clwydian Range! Huw & Ella provide a warm welcome to their non smoking bed and breakfast which they have tastefully renovated for the pleasure and comfort of their guests. 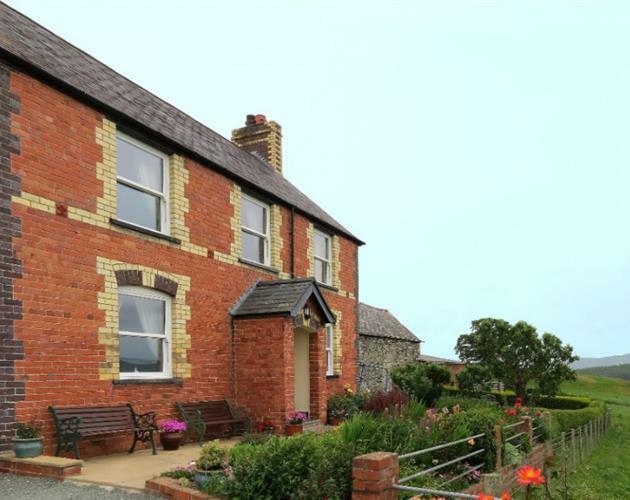 Tyddyn Chambers Bed and Breakfast is an ideal place to stay with panoramic views of the Clwydian Range and centrally situated for touring North Wales, Historical City of Chester, National Trust Bodnant Gardens and Erddig, Betws y Coed, Llandudno and other coastal resorts. Separate tables are provided in the pleasant tradionally furnished breakfast room. 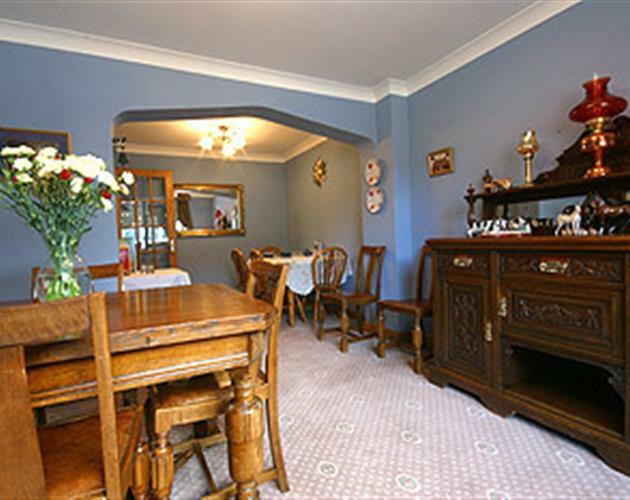 Breakfast consists of various fruit, fruit juice, cereals and a full English breakfast (special diets can be accommodated), tea or coffee and toast, all freshly cooked using local Welsh meats. 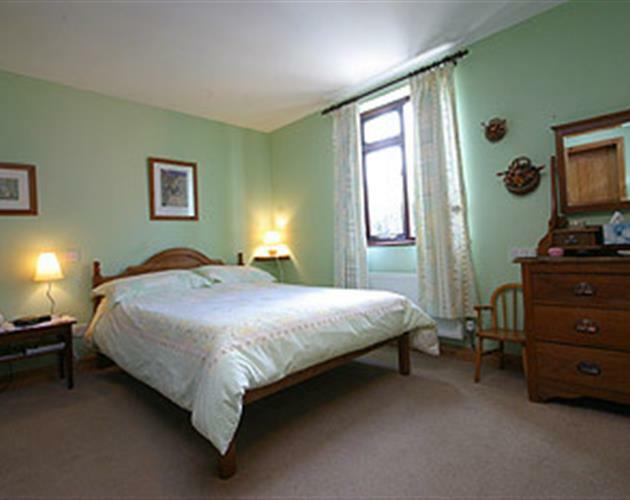 The accommodation comprises one double, one family and one twin room. 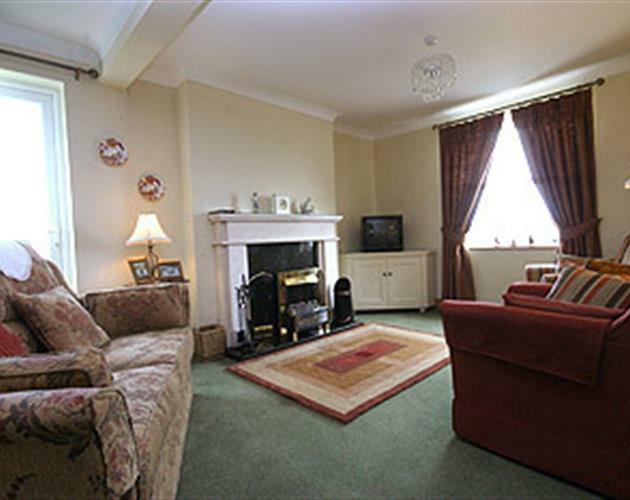 Beautifully decorated and furnished to the highest standard. All have en-suite facilities with lots of little extras. Remote control TV, tea/coffee making facilities, alarm clock/radio, hairdryer and central heating throughout makes your stay most enjoyable. At the end of a day spent exploring North Wales, you can relax in the comfortable guest lounge with TV. Your hosts, Huw & Ella can offer advice on places to visit if you would like. There are facilites for washing and drying clothes, plus bicycle washing and lockable shed for overnight storage of bikes.